Modern wallpaper patterns can inspire children bedroom colors and create beautiful, fresh and stylish color combinations for kids rooms. Modern wallpaper for kids room design and decorating provide great inspirations for selecting kids decor themes, decoration patterns and interior colors. Sprucing up kids rooms does not mean parents have to spend a lot of money. Decor4all shares a collection of beautiful wallpapers from English designers that demonstrate how to transform children bedroom decorating with modern wallpaper designs and create bright, modern interiors for kids. There are many ways to make children bedroom decorating look cute and pleasant. One of the most spectacular ways is to use bright and colorful kids wall decor, including wallpaper patterns for kids, wall decorations, and accents. Modern wall decor for kids rooms offers fabulous ideas for personalizing children bedroom decorating. Anything, from a cool poster or graphic wall decals to latest wallpaper, can inspire kids room design and decor, and interior colors. Nature inspired wallpaper patterns, and playful, funny and colorful wallpaper designs are perfect for modern kids room decorating. Lady bugs, farm animals, fish, boats, planes, cars, trains, giggling portraits, and birds are wonderful ideas for children bedroom decorating. The possibilities are endless. 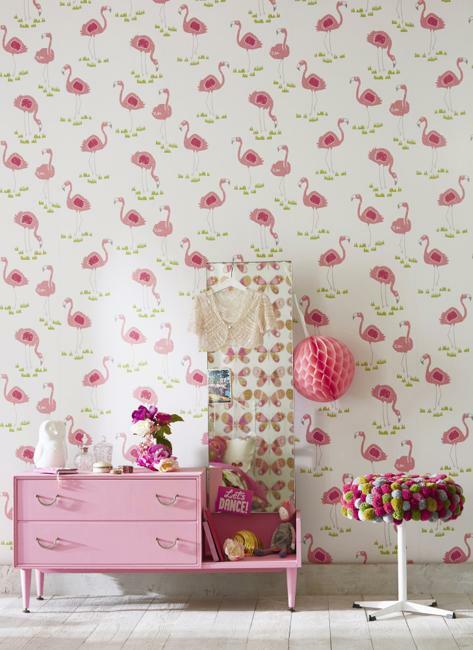 Modern wallpaper patterns for kids define room decorating themes and provide gorgeous bedroom colors. 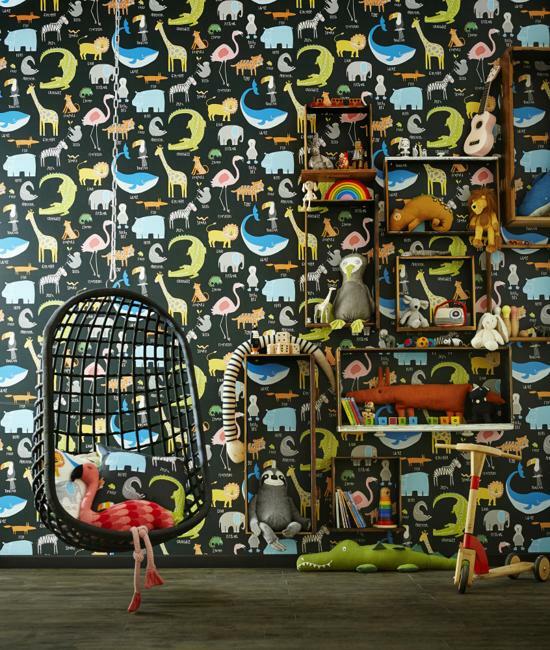 Modern wallpaper patterns have whimsy and cute designs created for kids, and delight children and adults with harmonious and fresh color combinations. 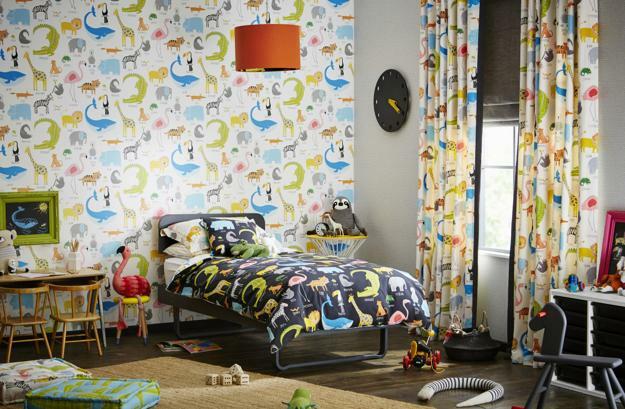 Check out the latest trends in decorating with modern wallpaper, steal the look of beautiful children bedroom decor and create bright kids rooms in your house without spending too much. Nautical decor theme, nautical wallpaper patterns, and nautical accents are always a refreshing and stylish choice for children bedroom decorating. Anchors, boats, signal flags and ropes always lend a bright pop of color to kids rooms. Modern wallpaper patterns offer many lovely kids room decorating themes, appealing colors, and cute designs for children. 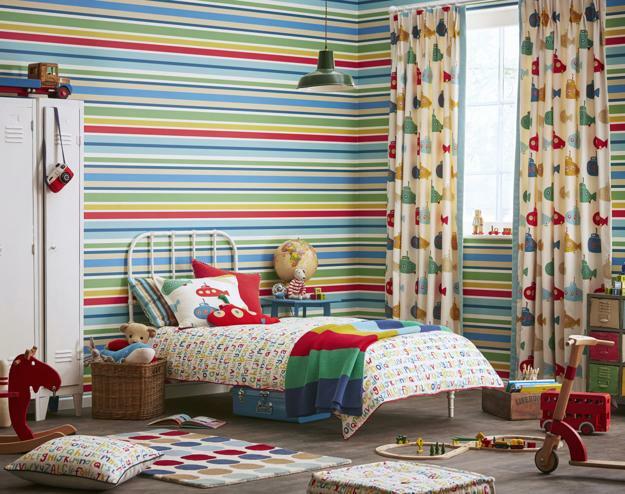 Classy striped wallpaper patterns and playful tartan decoration patterns are perfect for kids rooms. 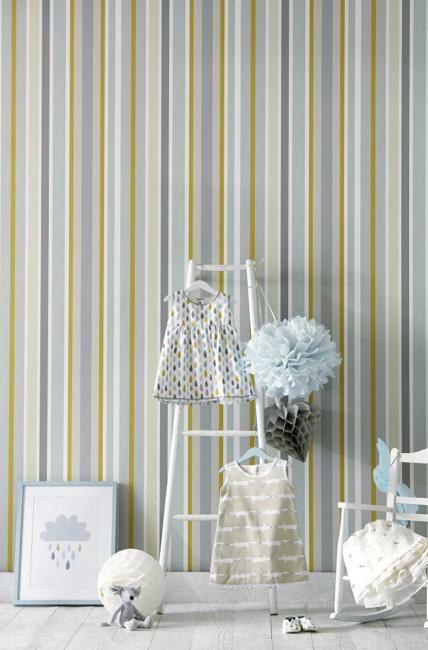 Classic wallpaper designs keep looking stylish in kids rooms as children grow old. 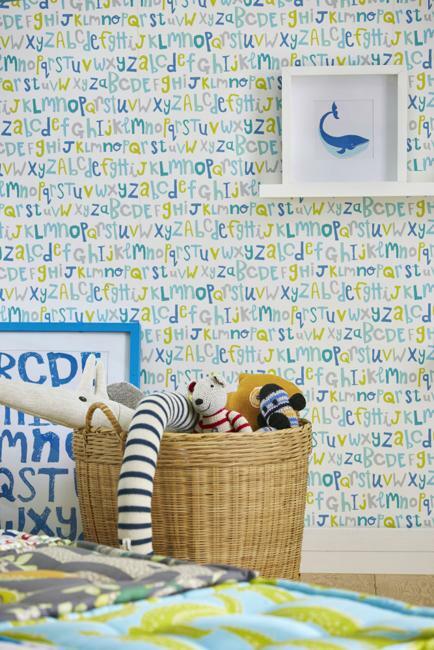 Consider modern wallpaper patterns as inspirations for your kid’s bedroom decorating. Beautiful wallpapers can bring striking elements of new design into kids rooms and set a playful, energetic and dynamic mood in children bedrooms and playrooms. Modern wall decor ideas can add instant brightness and character to any nursery decor, teenage bedroom design or young children bedroom decorating. Whatever your choice for wall decoration, wallpaper or decorative accents, kids wall decor transform empty walls and make your children’s bedroom decorating look more attractive, stylish and inviting.